Amidst the commotion on demonetisation in Parliament, the government has introduced The Taxation Laws (Second Amendment) Bill, 2016, to amend certain provisions of the Income Tax Act, 1961, to further tighten the noose on black money hoarders. A scheme namely Taxation and Investment Regime for Pradhan Mantri Garib Kalyan Yojana, 2016 (PMGKY) has been proposed in the Bill. The amount recovered shall be utiliSed for public welfare projects. The PIB release states that certain provisions of the existing Income-tax Act, 1961 (the Act), can possibly be used for concealing black money. The amendments thus proposed shall ensure that defaulting assessees are subjected to tax at a higher rate and stringent penalty provision. Taking note of the fact that in the wake of declaring specified bank notes “as not legal tender”, people have rather taken to finding illegal ways of converting their black money into black again the Government intends to give an opportunity to people to come clean by paying penalty. This would provide the government with additional revenue for welfare functions and also the remaining part of the declared income in integrated into the formal economy. In furtherance of this objective, a scheme titled ‘Taxation and Investment Regime for Pradhan Mantri Garib Kalyan Yojana, 2016’ (PMGKY) has been proposed in the Bill. Under the scheme, the declarant shall be required to pay tax @ 30% of the undisclosed income, and penalty @10% of the undisclosed income. Further, a surcharge called ‘Pradhan Mantri Garib Kalyan Cess’ @33% of tax is also proposed to be levied. In addition to tax, surcharge and penalty (totaling to approximately 50%), the declarant shall have to deposit 25% of undisclosed income in a Deposit Scheme to be notified by the RBI under the ‘Pradhan Mantri Garib Kalyan Deposit Scheme, 2016’. This amount is proposed to be utilised for the schemes of irrigation, housing, toilets, infrastructure, primary education, primary health, livelihood, etc. 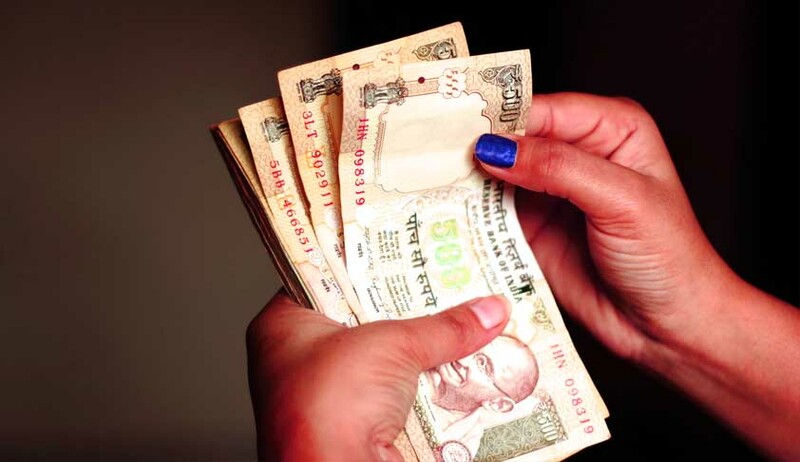 The Bill proposes stringent penalty for defaulters. Penalty in case of search and seizure has been increased to 30% if admitted, returned and taxes are paid and 60% in any other case. In case, the assessee does not declare unexplained credit, investment, cash and other assets, the tax surcharge and penalty will add up to 75%. Besides if the assessing officer decides he can charge a 10% penalty in addition to 75%.